Chennai’s winter has set in with 10th January seeing the lowest minimum temperature of the year at 17.9 Degrees in Meenambakkam and 19.0 Degrees. 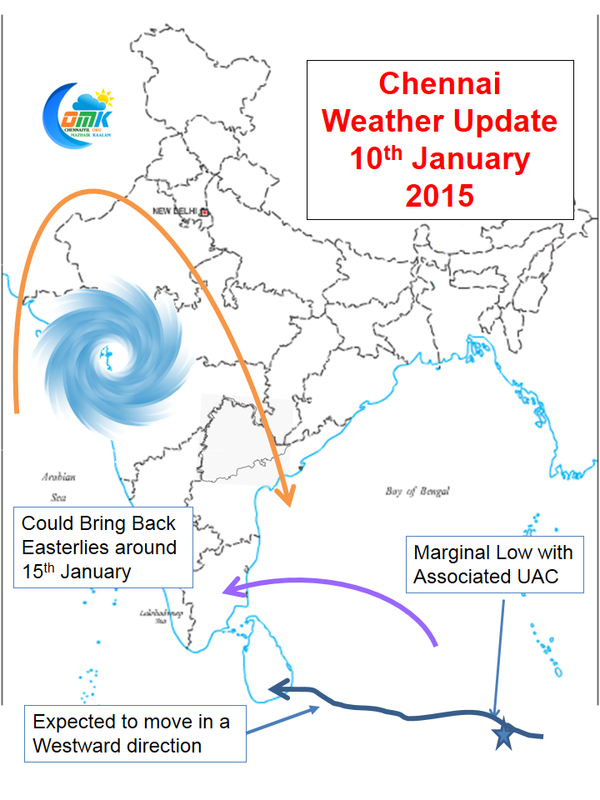 A short take on why the temperatures have dropped for Chennai, though it was expected. Currently Peninsular India is under the influence of a High Pressure Area near Gujarat which is pushing in Dry cold air over Chennai bringing in a drop in temperature. 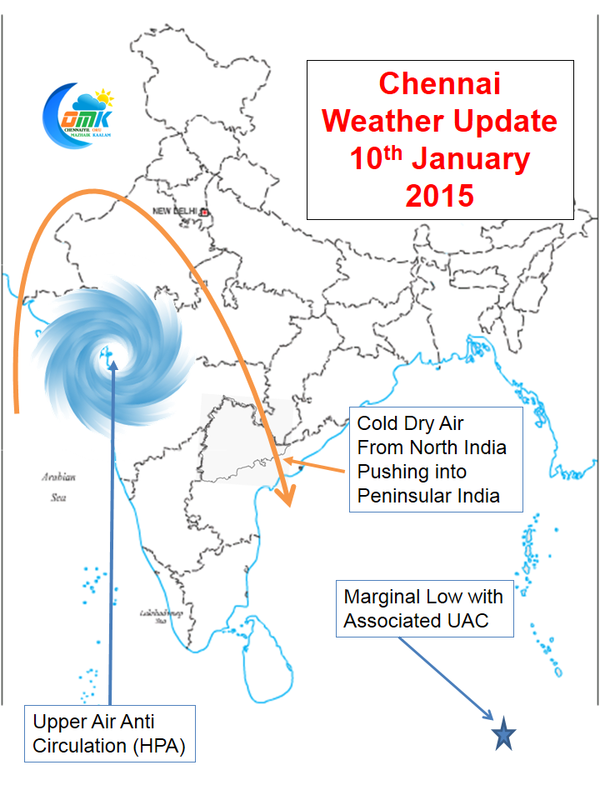 Until Peninsular India is under the outflow of this High Pressure Area wintery conditions would continue for Chennai. 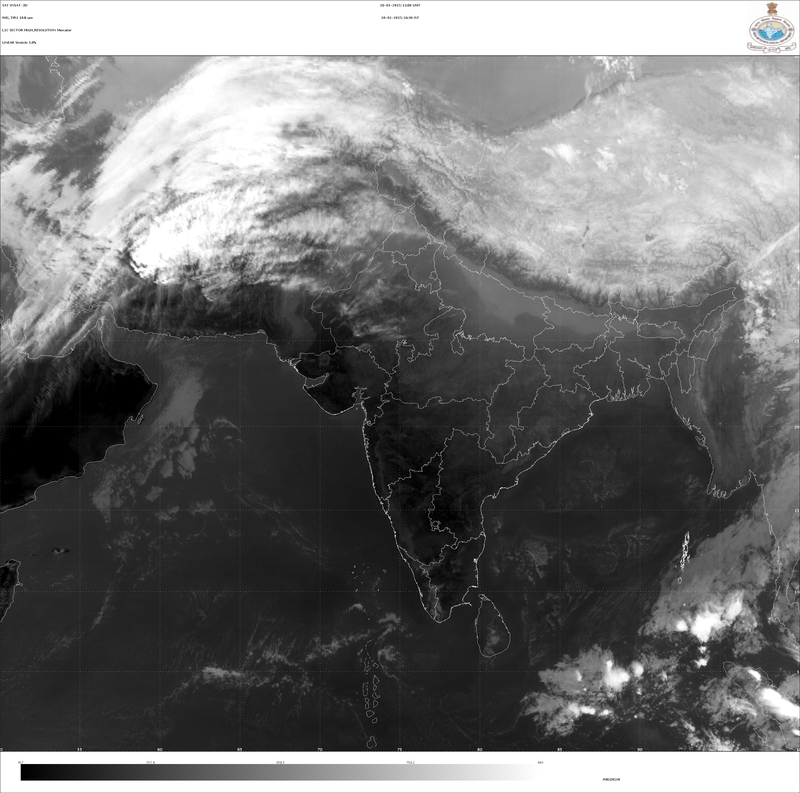 A look at the satellite picture shows clear skies over most of India which has resulted in a drop in temperature every where. How long would this continue. The answer to this question lies over South East Bay where a marginal low with associated Upper Air Circulation exists.